Outlook.com is coming out with a new look in few days. It is in now its beta phase already. 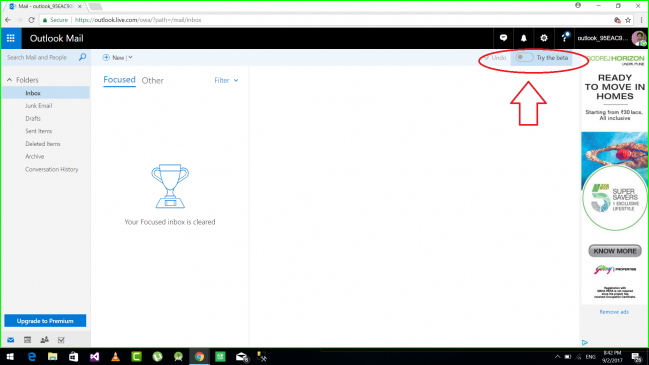 Microsoft announced a new Outlook.com beta experience last month. 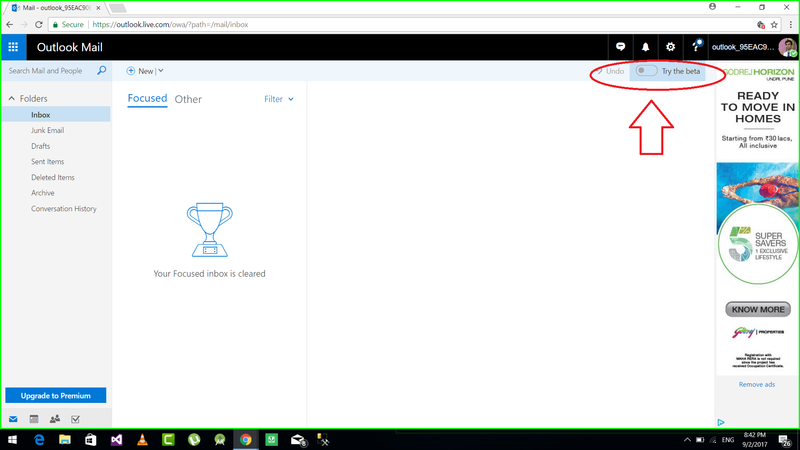 But Only some users were able to try the new or say beta version of Outlook.com by using the Try the beta toggle available on the top right of the Outlook.com page. Microsoft have now made it available to all. Microsoft today announced that they have opened up the beta program for everyone. If you are interested ,you can try out the new look of Outlook.com today. Also if you want to switch back to regular version you can do so. The upcoming Outlook.com comes with a new fresh look with a new and cooler conversation style, Lot of new features and a new design to let you see, read, and attach files faster. Also Outlook.com have add a cool feature that is Quick Suggestion feature which allows you to easily add information about restaurants, flights, or your favorite teams’ schedules to your conversations. Try the new Experience On Outlook.com and share your experience with us. Related Minecraft : Pocket Edition now available for Windows 10 Mobile devices! Previous articleTip : Customizing the Note button on the Action Center!